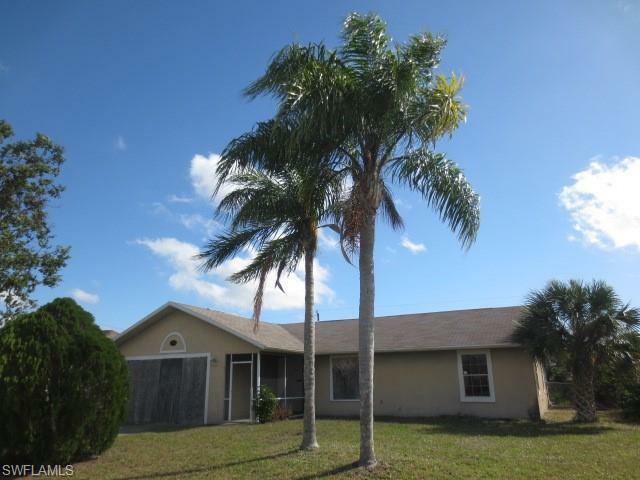 2605 NW 2nd Ave, Cape Coral, FL.| MLS# 219015860 | Southwest Florida Residential Real Estate for Sale. ATTENTION ALL INVESTORS !!!! Here is a fantastic opportunity for a income producing property or a flip. This is a split 3 bedrooms 2 bath home with a great room, cathedral ceilings, large lanai on the rear, fenced back yard, great location in a established neighborhood, close to schools - parks- shopping and major road arteries. Come by and take a look! !